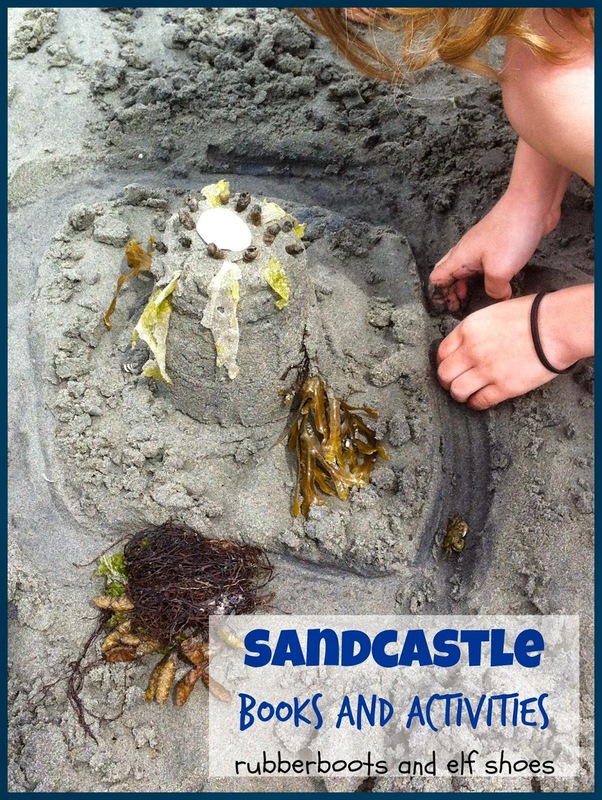 When we were having our annual end of the school year family day at a local beach, I visited with a couple of kids who were building sand castles. The moat was dug. Water was being transported to fill the moat. Seaweed and shells were decorating castle walls. 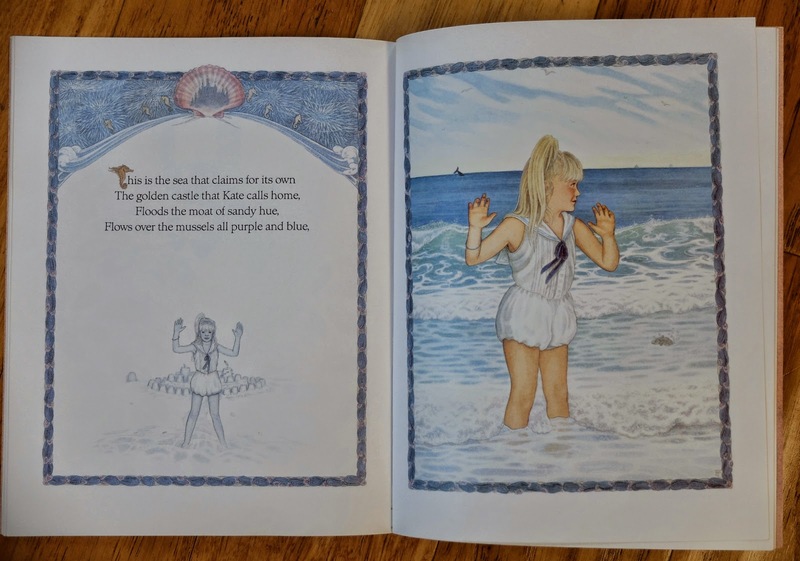 I was reminded of a beautiful book all about Kate, a girl who built a sand castle. This is the castle that Kate built. That circles the castle that Kate built. 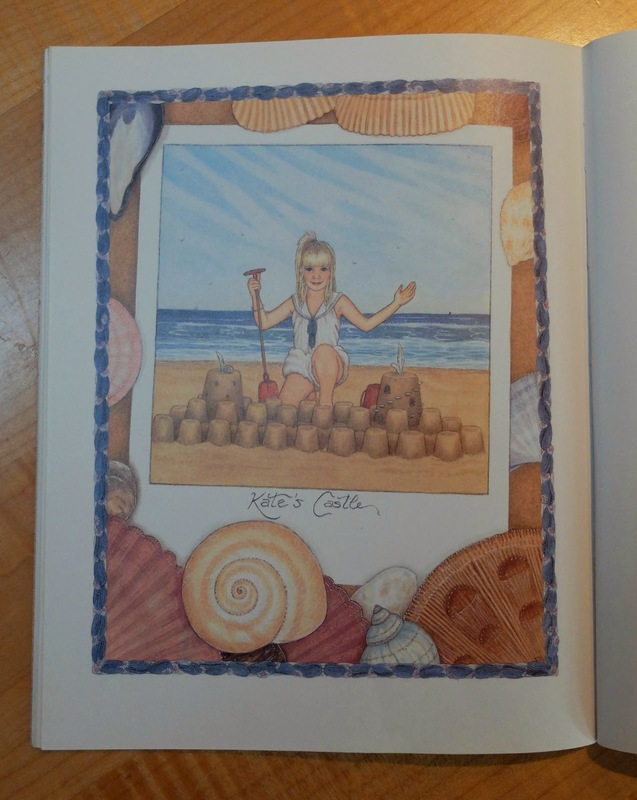 summary: Kate spends a day at the beach building a sand castle. 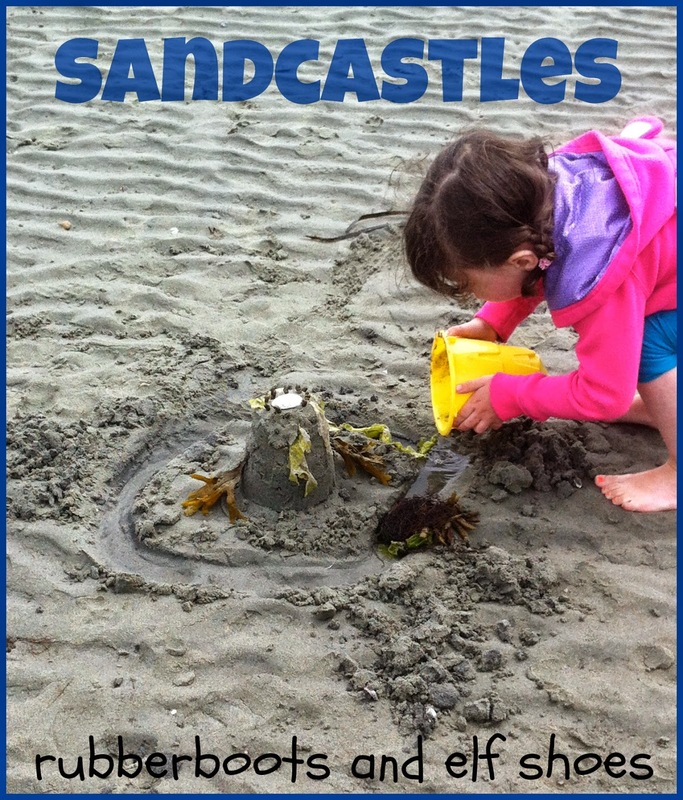 As she builds her castle in the sand, a castle is built in her imagination. I love: Even if Julie Lawson did not live an hour's drive from me, even if she was not a teacher who retired to write full time, and even if I had not met her a few times and have a signed copy of the book (she does book presentations at schools and for children's book roundtables) and found her to be an absolutely lovely person, I would still love this book. 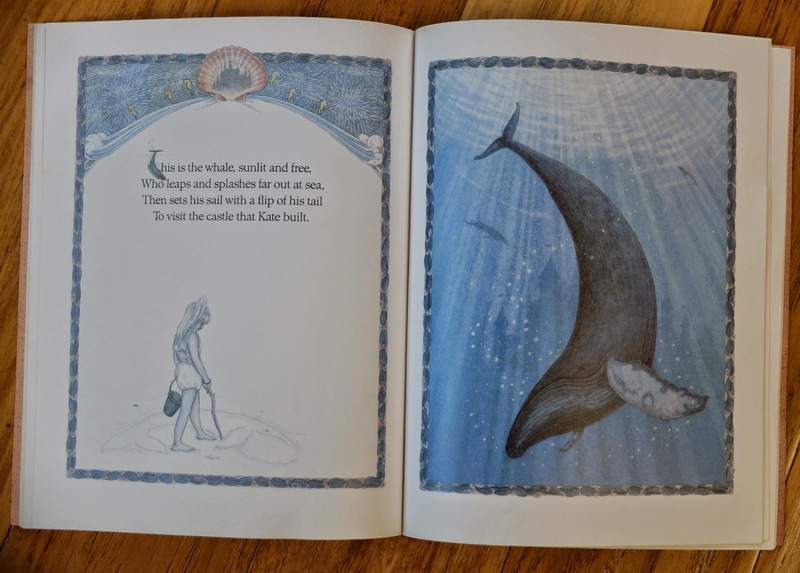 I love two things, the rich language of the text and how the illustrations tell two stories. Kate's Castle is a repetitive story - just like the House that Jack Built. As such, Lawson's rich, lyrical language builds on itself, creating an almost magical "hum". Kept in the castle that Kate built. It has such a lovely rhythm and each syllable fits just right with the cadence of the text. 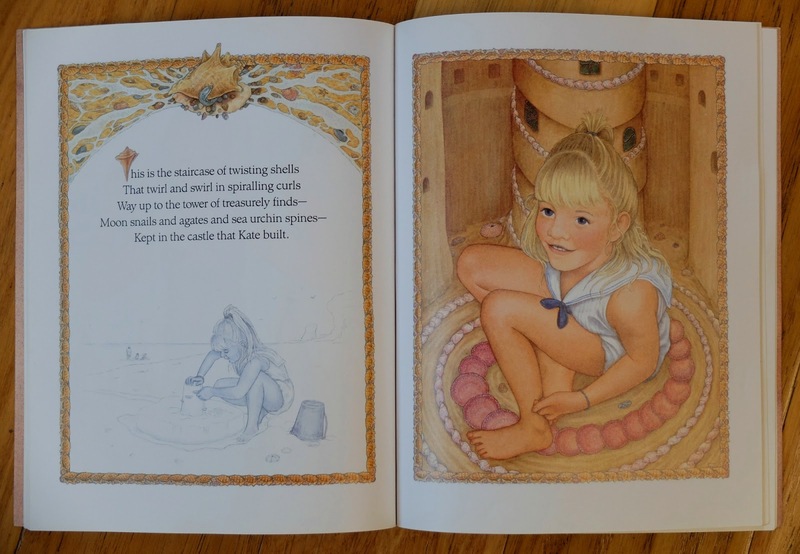 Frances Tyrell's illustrations fit the almost magical mood of the story. Kate and her at the beach sand castle are portrayed in blue and white colour drawing. Very simple. Very clean. Soft and real. 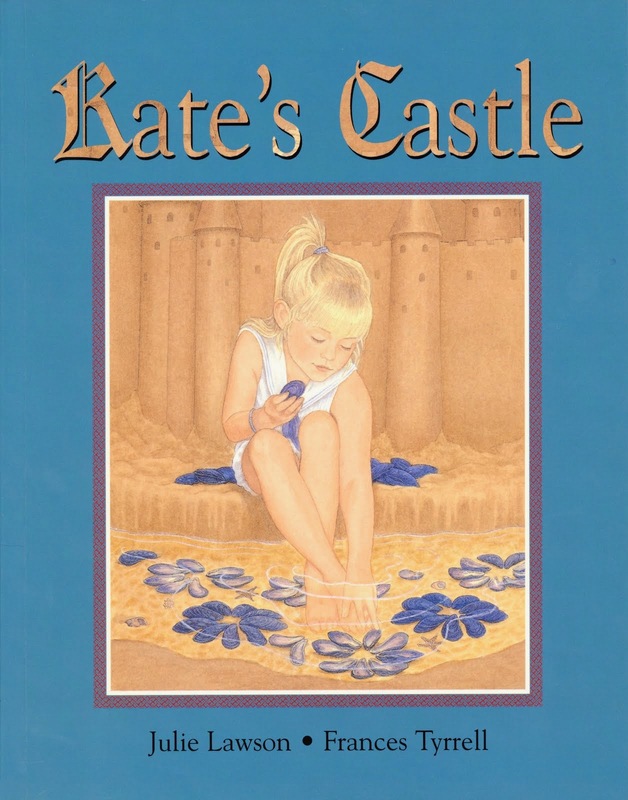 On the opposite page, Tyrell uses a palette of soft blues and browns to create the castle of Kate's imagination. leaving memories of an almost magical day at the beach. 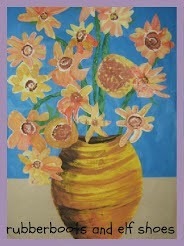 Julie Lawson has written a number of wonderful picture books, junior novels and early teen novels. 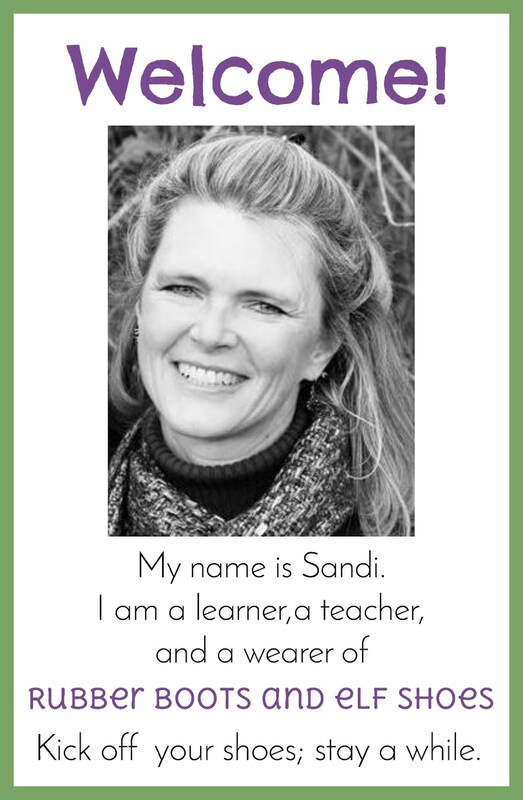 Check out her website [here]. 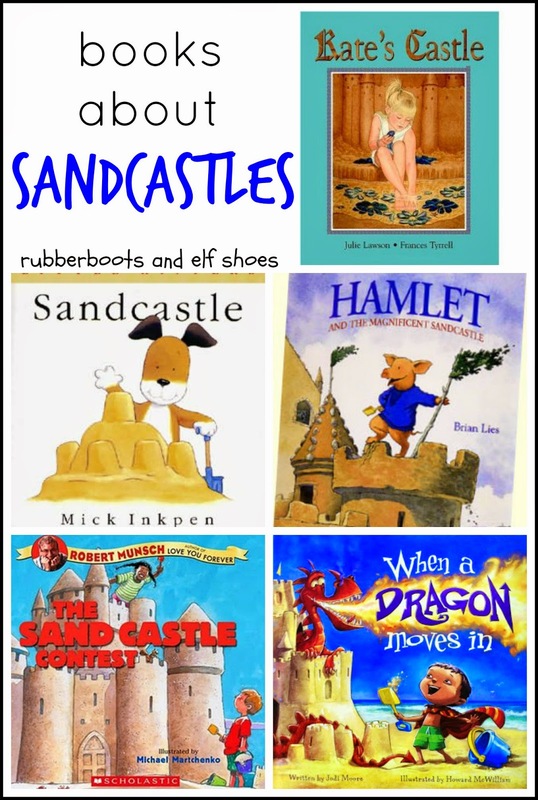 One sandcastle book needs company - here are some others. Click on the title to link to go to Goodreads. 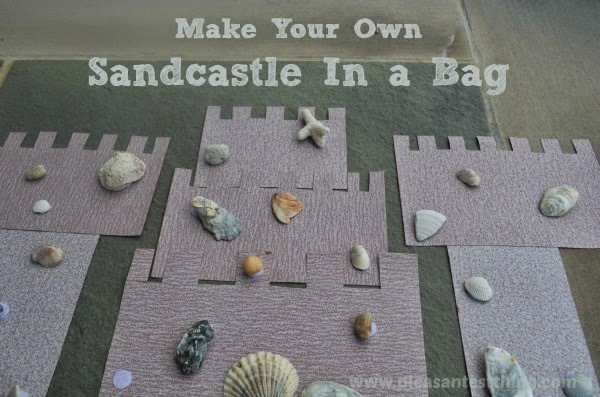 Seems to me to make sense to make sandcastles after reading sandcastle books. Sometimes you can get to the beach - other times the beach has to come to you. 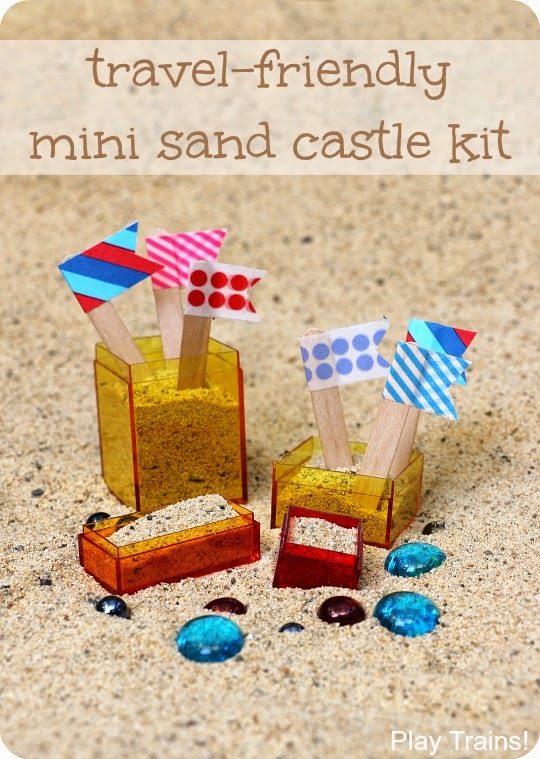 complete with flags and gems from Play Trains. bring the beach to you. 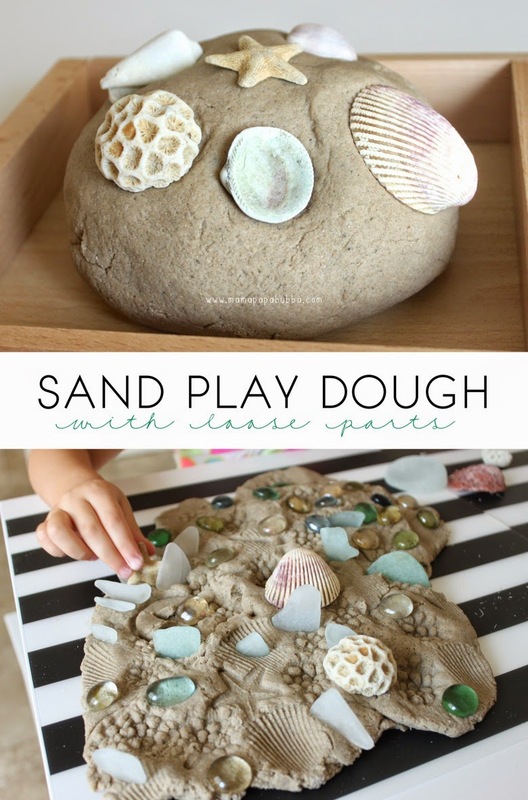 how about sand play dough. 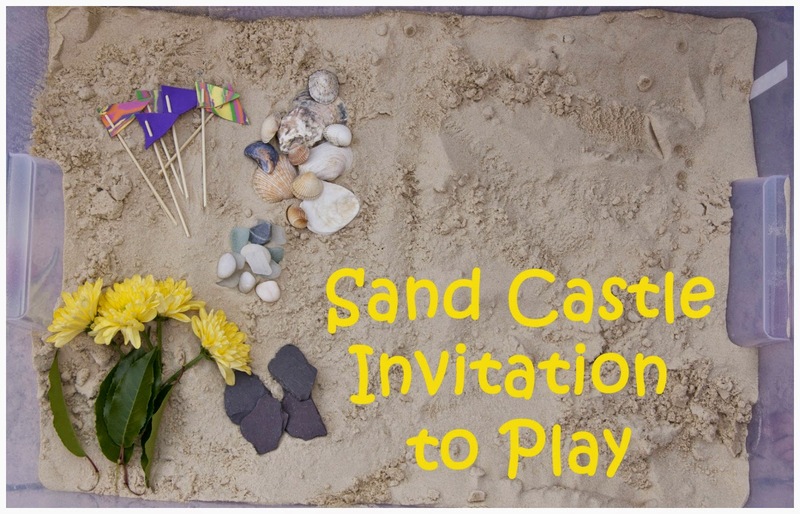 to a sand play dough invitation. It doesn't have to make a castle - but it could. as a toddler busy bag. I think that children up to 6-7 would enjoy this. Finally, for How I Met Your Mother fans, Robin Sparkles and Sandcastles in the Sand! Oh, that book looks beautiful!! I will have to try to get my hands on a copy. I love the activities as well. Thank you for sharing at Sharing Saturday! I love the beach!! 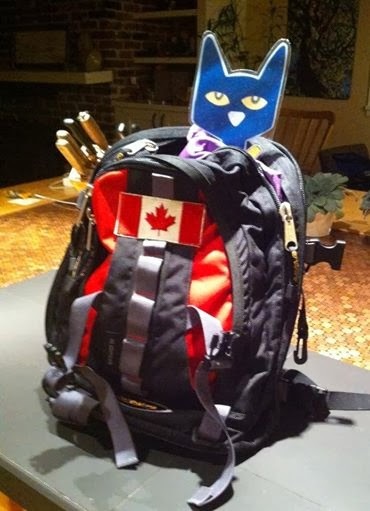 How fun to bring it home. Thanks for sharing all the sunny fun!